The “blogging” revolution has introduced a whole new set of blogging terms, abbreviations and acronyms to online users. 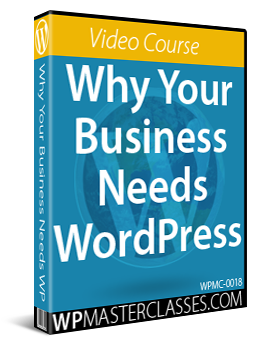 Although WordPress has now evolved into so much more than just a “blog” and is now the fastest growing CMS platform worldwide, it is still synonymous with blogging and used by many for personal and business blogging. 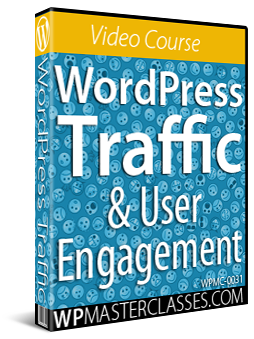 If you’re new to blogging or WordPress, then it helps to understand some of the basic “blogging” definitions. A blog is short for web log, which, according to most definitions, is a simple online diary that allows you to publish, date and list your periodic thoughts, opinions and musings on a particular topic or idea, generally in reverse chronological order (i.e. whatever you publish last appears first). When you focus a blog towards business purposes (e.g. promoting your business, products or services), then you have a business blog, instead of a personal blog. Blogging is the act of posting content on blogs. A blogger is someone who blogs and the Blogosphere represents the entire universe of blogs and the internet blogging community. Most blogging activities are made possible via the use of a blogging platform, which is the software application used for blogging. Most blogging platforms are sophisticated Content Management Systems (CMS) that allow you to create and publish content without requiring you to have “web site skills” like knowing how to write or edit HTML (Hyper Text Markup Language – the language used to create web pages.). Blogging platforms also generally give you the choice of setting up a blog on the software creator’s domain (e.g. mybusiness.wordpress.com), or hosting the blog on your own domain (this is the recommended option for businesses). Common blog publishing platforms include WordPress, TypePad, Movable Type, Blogger and many others. Blog Index Page – The front page of your blog. With a blogging platform like WordPress and many others, you can either make your index page show the latest post, or you can specify a specific post or entry page as a “fixed page”, so that the same content appears every time someone visits your site. Blog Footer – The area at very bottom of your blog, which is usually used to list site navigation links and a copyright statement. Blog Sidebar – Depending on the theme of your blog, this refers to one or more vertical sections or columns that run along one or both sides of your blogs and contain information that appears on all pages. Blog Post, Blog Entry – Each of the individual articles or pieces of content that make up your blog. A post or entry can be edited or deleted from your blog without affecting other posts or entries. Permalink – A link to a specific article in your blog. Permalinks can be modified to display the URL in different formats. This is useful for SEO (Search Engine Optimization), as permalinks can include keyword-rich category titles. Blog Comments – Feedback or remarks left on a post from a reader or visitor to your blog. Comments often include a link back to the reader’s blog or Web site. You can block or moderate comments before allowing them to be published on your blog. Captcha – An acronym for “Completely Automated Public Turing test to tell Computers and Humans Apart.” Captchas are often distorted word and letter verification images that a visitor is required to type in to show they are human and not an automated bot. Captchas are useful for blocking automated spam comments. Blog Dashboard – This is generally the first screen you see when you login to your blogging account. The Dashboard gives you access to all the settings, controls, tools and functions you need and also provides you with “at a glance” information about your blog (e.g. the number of posts in your blog, comments awaiting moderation, etc …). Blogroll – A list of links to other recommended or useful blogs or sites. A blogroll is generally found on a blog sidebar and is similar to the links page on a Web site. The word “Blogroll” is often changed by bloggers to better descriptive titles like “Useful Links” or “Recommended Resources”. Blog Archives – A collection of all your posts on one page. Archives allow users to quickly locate old blog entries and can be categorized by month, etc. Tag Cloud – A block of text that displays a list of tags or keywords in a blog. Clicking on a tag cloud keyword usually brings up a page listing all blog entries related to that keyword or keyword phrase. Blog Template – The collection of files containing coded instructions for a blog’s design, layout, appearance and functionality. A collection of blog templates creates a “blog theme”. Plugins – Small files or scripts that greatly add improved or enhanced functionality and new features to your blog. 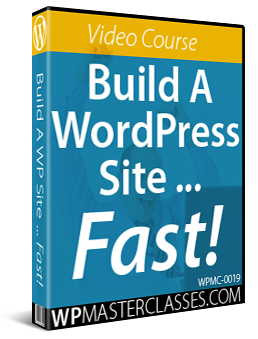 There are thousands of WordPress plugins, for example, that can be freely downloaded and added to your blog to greatly improve your blog’s functionality, usage and interactivity. Widget – Widgets are an easy way for bloggers to arrange and rearrange your blog sidebar items without touching a line of code. The WordPress blogging platform uses widgets. Expandable post summaries – A feature that allows you to display an excerpt of a blog post (i.e. a teaser) on the index page of your blog that links visitors to another page containing the full post. Incoming Links – Incoming links or backlinks are links from other blogs (or web sites) pointing back to your blog (or web site). Taxonomy – Another way or organizing, classifying, or grouping different data in WordPress. For example, Categories and Tags are the default taxonomies used to organize WordPress posts. Custom Post Types – Custom post types are new types of posts you can create for specific purposes (e.g. products, testimonials, etc). Ping – An acronym for Packet Internet Grouper. Pinging helps to notify other blog tracking tools about updates, changes and trackbacks on your blog. One of the major differences between blogs and web sites, is that a blog allows you to “ping” (i.e. automatically notify) search engines whenever you update your blog (called “Blog and Ping” or “Blogging and Pinging”), where most normal websites lack this function and require you to manually notify search engines that you have added new content to your site. Trackback – Similar to a comment, a trackback (or pingback) is a snippet of referring feedback sent from one blog to another blog to notify that your article has been mentioned on another blog, or vice-versa (i.e. that you are referring to someone else’s post on your blog). In short, a trackbak is a notification system in which a ping is sent to another blog to notify it that one of its articles appears on someone else’s blog. It is usually attached to the bottom of a post on another blog and also includes a link to the new post. Comment or Trackback Spam – These are comments or trackbacks that are left on your blog for the purpose of creating inappropriate links to the commenter’s Web site or blog and increasing their number of backlinks. BlogThis – This is a useful function that allows a blogger to automatically add or import an entry they are reading on another site or blog to their own blog. CSS – CSS (Cascading Style Sheets) allows you to control how web pages and page elements display on your screen. FTP – An acronym for File Transfer Protocol. An FTP tool (also known as FTP client) allows you transfer files to and fro from your computer and web host server where your blog is located. RSS – An acronym for Real Simple Syndication. Blogs automatically create RSS feeds for posts and comments that your blog visitors and readers can subscribe to. RSS feeds can be read through a newsreader. Caching – Caching refers to the creation of temporary files that can be served faster to your website visitors and reduce server load. Whereas normally you would rely on your server to serve (i.e. assemble and deliver) the requested information for each and every request, caching stores and serves a static version of your website content to visitors. This version includes elements like HTML, text, and images. CDN – An acronym for Content Delivery Network. A CDN is a system, network, or collection of distributed servers that store (cache) and deliver webpages and web content to users from various locations depending on where the user is located. Using a CDN can help speed up the process of delivering content such as images and other media (e.g. videos). Firehose – The firehose is a stream of the public data (public posts, comments, etc.) that flow through WordPress.com. The firehose is used by companies and people who are interested in public blog content. When these firehose users display content from your blog, they are required to link back to your blog. SSL – An acronym for Secure Sockets Layer. SSL is the standard security technology for establishing an encrypted link between a web server and a browser and ensures that all data passed between the web server and browsers remains private and secure. Newsreader – A piece of software or web application that allows you to receive and read news feeds. Web-based services like Bloglines, Rojo, Newsgator, Kinja, etc … are News Aggregators (also called RSS readers, feed readers, feed aggregators or news readers) that display content from syndicated web content and web feeds. 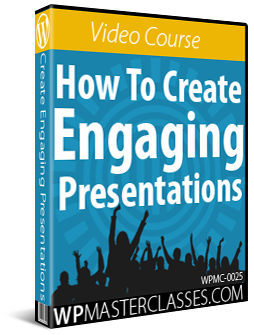 These can be configured online or downloaded on your desktop. Nonce – A nonce is a “number used once” to help protect URLs and forms from certain types of misuse, malicious or otherwise. 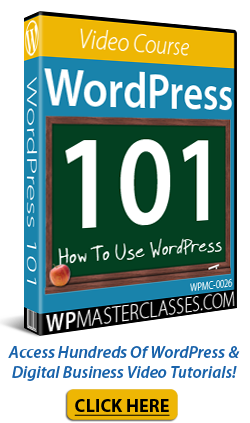 WordPress nonces aren’t numbers, they are a hash made up of numbers and letters. WordPress nonces are not used just once but have a limited ‘lifetime’ after which they expire. During that time period the same nonce will be generated for a given user in a given context. The nonce for that action will remain the same for that user until that nonce life cycle has completed. wp-cron – WordPress uses a virtual cron job file called wp-cron.php to schedule tasks and automate things like publishing scheduled posts, checking for plugin or theme updates, sending email notifications, and more. GitHub – GitHub is a web-based version control repository (called a ‘Git’). GitHub is mostly used for hosting and distributing code and is the largest host of open-source software projects and source code in the world. GitHub allows software developers to upload and host software applications (e.g. 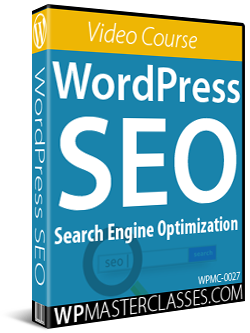 WordPress plugins) and distribute it to users online. GitHub also offers developers distributed version control and source code management (SCM) functionality and provides access control and several collaboration features such as bug tracking, feature requests, task management, and wikis for every project. The above are just some of the main blogging terms you will need to become familiar with as a blog owner. If you are interested in expanding your blogging vocabulary beyond the above definitions, then search online for terms like “blog glossary”, “blog definitions” or “blogging terminology”. We hope you have found the above article useful and enlightening!